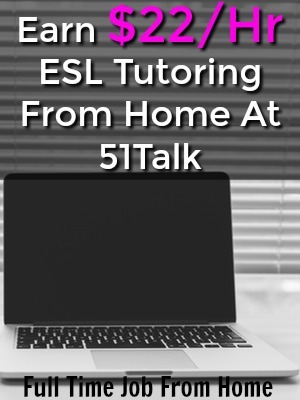 51Talk is a company that hires a work at home ESL tutor position in the US and a few other countries. You do need to have some experience and a college degree, so this might not be available to everyone. If you’re still interested in ESL tutoring, here’s a list of 4 ESL tutoring apps, anyone can join. If you can meet the requirements, this seems like an excellent place to work. It’s the fastest growing tutoring service in China and pay rates are high compared to similar sites. 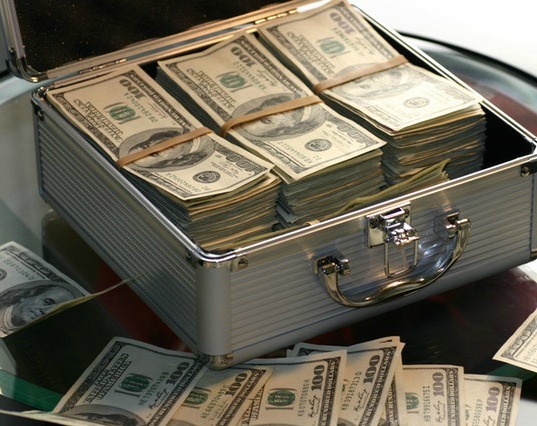 Tutoring English online is extremely popular right now, but I prefer a much more passive way to earn money online, check out My #1 Recommendation, it’s how I made over $13,000 online last month! In this 51Talk review, I’ll cover requirements, the application process, the pay, and if this ESL tutoring job is legitimate. To apply to be a 51Talk tutor, you’ll need to be a Native English Speaker with a clear North American accent. You’ll also need some experience teaching students 4-12 and have at least a 4-year bachelor’s degree. They also say that having a teaching degree or certification will be an advantage, but is not required. It does say that having either of these can qualify for higher pay. You’ll also need an updated computer, wired internet connection, headset, HD webcam, and a quiet well-lit home office. Again you do not need a teaching degree or certification, but it does help. If you meet the requirements, you can apply on their website. First, you’ll enter your email and Skype ID. Then information including Name, DOB, Gender, Phone Number, College/University, Nationality, Current Job, Kids Teaching Experience, Available Times, and a place to upload a resume. Once you submit your application, there’re a few more steps. They conduct a phone interview within 48 hours of submitting your application. If all goes well, there is some training via Skype. The last step is a mock tutoring session. After that, you’ll become a 51Talk tutor and can begin to teach. Once you’re accepted and ready to teach, you can set your schedule. 51Talk will schedule tutoring sessions in the slots you provided. Each tutoring session last 25 minutes. It’s your job to correct and provide feedback to the student during the session. At the end of each session, you’ll provide a memo with helpful advice for improvement. From what I found most teachers are making $15-$18 hourly tutoring for 51Talk. On their site, they say that you could make up to $22 an hour, but I would say that’s with a teaching degree, certificate, and perfect feedback from students. From what I can see payments are made monthly. It looks like tutoring at 51Talk is a semi-flexible schedule. You can log on at any time and tutor, as long as students are available. Keep in mind; you’ll be teaching students in China, and there’re peak hours. On their site, they say 3 am-10 am EST (Monday-Friday) and 8 pm-10 am (Saturday-Sunday) are peak times. On their website, it states you need to average 16 hours a week in the peak time frames. As you can see, it’s not convenient peak hours for tutors in the US. When looking through the forums, some teachers are working full-time while others are only part-time. There’s a lot of feedback about tutoring for 51Talk on Glassdoor. Overall the feedback is positive, but here’re some common complaints. Obviously, the peak hours are not ideal for US based tutors, at least not in my opinion. Unfortunately, you have to work when there’re students available; there’s no way around this. Like some other ESL tutoring sites, you can get hit pretty hard if you don’t show up for a tutoring session. I even saw a review that says if you miss for technical issues, you could be fined up to 3 times the rate you were set to make for those sessions. Seems pretty excessive. A key to booking more tutoring sessions is having high student feedback. There’re a lot of complaints of students giving bogus feedback or leaving bad feedback because their connection was bad. Bad feedback is shown on your teacher profile and can turn students away from booking. Nearly every review mentions the teacher support being slow to get back. It looks like they are decently helpful when they respond, but it won’t be quick. Is Tutoring for 51Talk A Scam? Tutoring at 51Talk is not a scam; there’s a lot of feedback about this position, and it’s mostly positive. With that said, there’re some complaints just like any company. The only real negative I see with this job is getting penalized for missing tutoring sessions and if your student doesn’t show you’ll earn 1/2 pay. Overall it’s a legitimate work at home job if you can meet the requirements. To learn more or to join, visit 51Talk.com to apply.